Moving house to a central London postcode is possibly the best thing you will do in a lifetime. Imagine the great perks that come with it – transport to almost anywhere, easy access to theatres, clubs and museums, lots of pubs and eateries nearby. What could possibly be bad about moving to Chinatown, W1? If you say the actual move, then you obviously haven’t heard of Moving Service. The best removals service in Chinatown, W1, Moving Service, will help you turn things around about a bleak moving day. Moving house doesn’t need to be the stressful experience everyone thinks it is. A professional removals company that provides punctual, efficient and friendly service at extremely affordable price can make the experience a lot easier without compromising on quality and safety. If this is what you desire, drop in a word with our move coordinator or give us a call at 020 8746 4402. You can find more information about the services we provide and read more tips and tricks about moving here. The area is a part of the city of Westminster and a vibrant locale in the heart of London. The dominant population here is obviously Asian but it is open to all who like a lively living environment. The area is well linked to the rest of London by several bus routes. The nearest Underground stations are at Leicester Square and Piccadilly Circus. 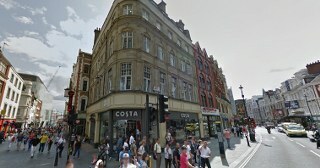 It is also within walking distance from Charing Cross and Oxford Street. One of the popular properties in this district is Vale Royal House but there are several other properties developing near the eastern part of the town. The area has a variety of shops, most abundant of which are the restaurants known for their authentic Chinese cuisine. The town has its own unique flavor and experience. The nightlife here is feisty and fun. In addition, you get to share in festive events of the Chinese culture, while still staying in touch with the urban lifestyle of central London. The area is unique in providing a different aspect of London living, one you would especially enjoy if you were into Eastern culture. Let us begin this wonderful experience for you by making your move to this place as hassle-free as possible for you and your family. All you need to do is choose what you want to take with you to your new home and we will do the rest for you, from providing the best packaging materials, packing all your items – fragile, valuable or bulky, loading, transporting, loading and unpacking. In fact, because we believe in going that extra mile for our customers, we will even take away any packing material you don’t need after the removal in Chinatown, W1 and recycle them. When you hire us, you can rest assured that your belongings are in good hands. Every our removals team in Chinatown is trained and have experience in handling all kinds of deliveries; they are dispatched equipped with suitable equipment and vehicle, all purpose-built to ensure that the move does not damage your possessions. Our team of movers in Chinatown will constantly monitor the vehicle in transit and our drivers are trained to handle any crisis that might arise on road. We understand that some customers want to be more actively involved in the moving process. So if you choose to do the packing yourself, we would be happy to provide you with the transportation and any other service you want. To understand how you can best combine our service packages, give our executives a call at 020 8746 4402 and let Chinatown’s best removals company provide you a wonderful moving experience that you will surely go on to recommend. During my search for experienced and reputable house removal services, I came upon Moving Service's website. I liked what I saw, so booked an appointment. The movers arrived as agreed, and worked tirelessly, making sure that none of my valuables were put at risk. I found this to be courteous and professional behaviour. In the end, my move to Chinatown W1 was without incident. I am happy :) Thanks so much!